According to the American Diabetes Association, an estimated one in five people with diabetes seek medical help, particularly for foot problems. A person who has diabetes is more susceptible to foot problems because diabetes damages the nerves and reduces blood flow to the feet, making it harder for your body to heal any injury or cure any infection which might make your feet vulnerable. Proper foot care is essential for people who suffer from diabetes and with an estimated 25.8 million diabetics living in the United States alone, it is necessary to know the steps to avoid any serious foot problems. This is a simple routine which everyone should follow. Keep your feet clean by washing them several times a day. If they are clean and not covered in any dust or dirt, you will reduce your chances of suffering from foot-related infections. Take special care when washing and dry the gaps between your toes to ensure that moisture isn't left behind in the crevices. Many people forget that our feet need as much moisture as the rest of our body, so apply a thin layer of lotion to the top and bottom of your feet. 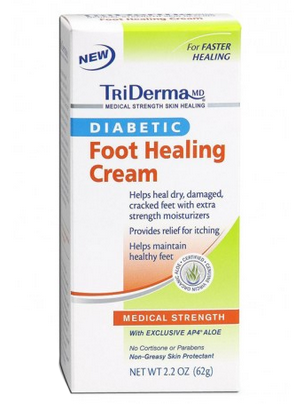 Just a few seconds of diabetic skin care can keep your feet comfortable and healthy. Keep your feet clean, smooth and moisturized. Soaking our feet might feel good during a pedicure but studies show that soaking our feet for prolonged periods of time can dry out the skin and cause cracks, which can lead to harmful infections. Soak your feet in clean warm water for a short time only to take away the stress and to relax your foot muscles. Perform some small foot exercises such as wiggling or rotating the ankle for a good five minutes to keep the blood circulation normal in your feet. While sitting, put your feet up instead of crossing your legs or just letting them hang. Having trimmed and clean toenails is a must, so always use clean nail cutters. Cut the nails straight across to avoid ingrown nails. If you can't cut or trim your own toenails, always ask for help. Avoid contact with heaters, electric blankets, hot water bottles or any material which might bring heat to your feet. Warmth can cause burns on your skin and other injuries. Too much heat exposure can cause decreased foot sensation as well. Always keep your feet away from anything which might cause excessive heat. Correct diabetic foot wear is necessary for everyone. Having the right size shoes which are made of comfortable material are a must, which means you shouldn't compromise just for the sake of fashion. Avoid walking barefoot and wear shoes which ar comfortable for you. To keep your feet healthy, you should wear diabetic socks. There are socks that are specifically designed for people with diabetes which are made from acrylic fibers and free of any dyes that might cause irritation. 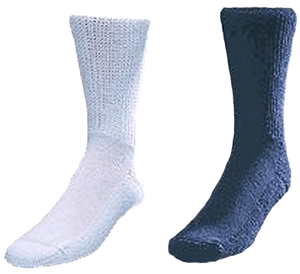 Acrylic socks are better than cotton at keeping excess moisture away from the skin. Perform a proper inspection of your feet daily, making sure that the condition of your feet is healthy so that you can catch any irregularities before they become a problem. The best way to avoid any problem before it becomes a complication is by preventing it from happening. If the doctor has given you any precautions, follow them properly. Work with your healthcare providers and keep an eye on your blood sugar to stay within range. If there is any problem or if there are any changes, notify your doctor immediately. The best way to lead a healthy life is by knowing how to take care of your own self. Diabetes might be a problem but that doesn't mean you should stop living and only think of the consequences. Proper foot care is essential for a diabetic and by following these simple instructions, you can live your life with the knowledge that you are doing everything to stay happy and healthy.